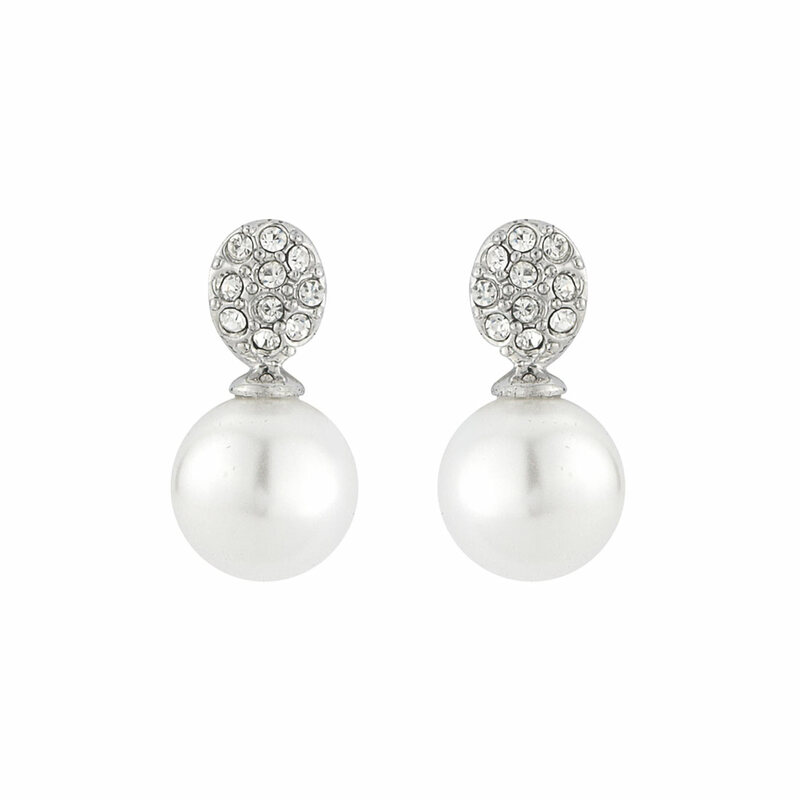 Bridal favourites which are the epitome of understated class, these crystal and pearl earrings are adorable. The perfect example of understated class, Timeless Elegance Earrings are simply beautiful. Featuring a light ivory faux pearl suspended from an Austrian crystal encrusted stud, they give a touch of understated glamour to the classic pearl stud design. Coordinate with matching Timeless Elegance Pendant for chic style for every occasion. If the occasion calls for a little added drama, dress your hair with a simple pearl headband for 1950s retro style. Brides who prefer classic wedding jewellery will adore these timeless earrings. The perfect pair to complement all styles of bridal gowns, they are also fabulous bridesmaid earrings. I have bought these for my wedding day in August,I Had a hair trial and these looked perfect. Quick delivery, packaged beautifully and most of all good quality for the very reasonable price. Cannot wait to wear them. Thank you . JUST EXQUISITE PERFECTLY BALANCED WITH JUST THE RIGHT AMOUNT OF CRYSTAL AND STUNNING PEARL DROPS AT A BARGAIN PRICE TAG OF £16. My daughter bought these and matching pendant for my wedding, absolutely perfect. Beautifully packaged and quick delivery. Thank you. These are stunning little pearl earrings which match my hair comb and wedding attire perfectly. Very dainty when they arrived which I was pleased about as I didn't want anything too big. The delivery was very quick and they arrived in perfect condition in a sweet little pink and black box. I cannot wait to see what everything looks like on the big day. These are beautiful, delicate earrings. I bought these alongside the Extravagant Beauty Side Tiara to wear for my wedding next year. Thanks so much.